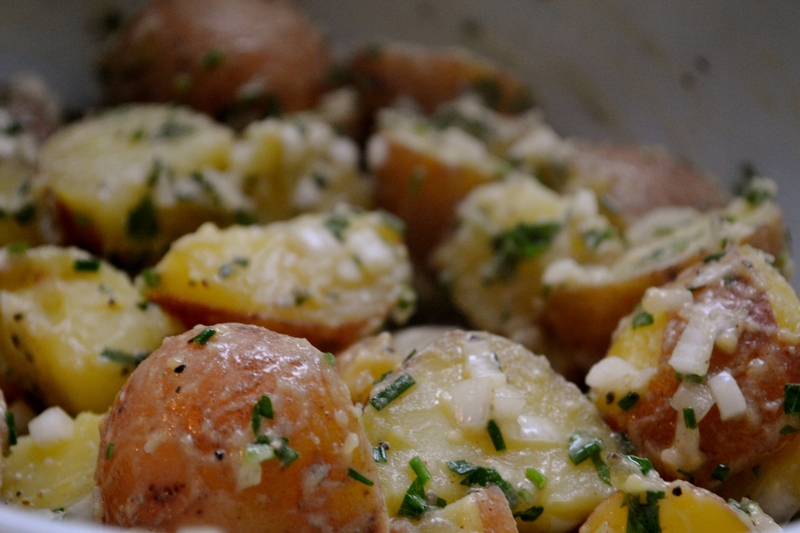 My version of a great potato salad is tangy and bright with a kick of freshness and just the right amount of salt. No gloppy mayo here. This simple dish is good, clean, eatin’! 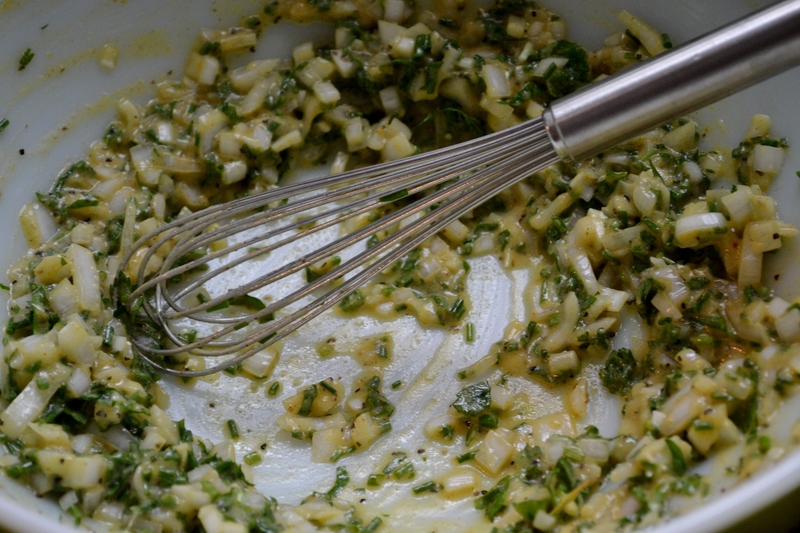 If you prefer your potato salad more gooey, you can double the recipe for the dressing. 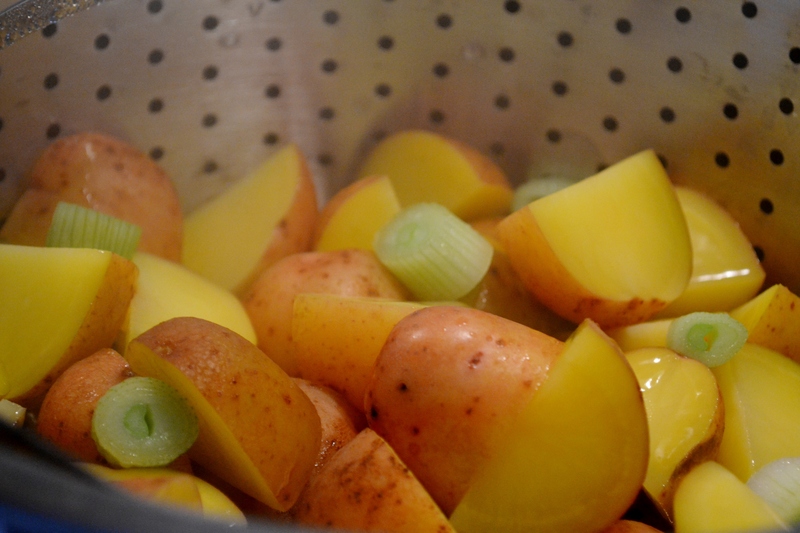 You can also cut the potatoes smaller and/or partially mash a few chunks. 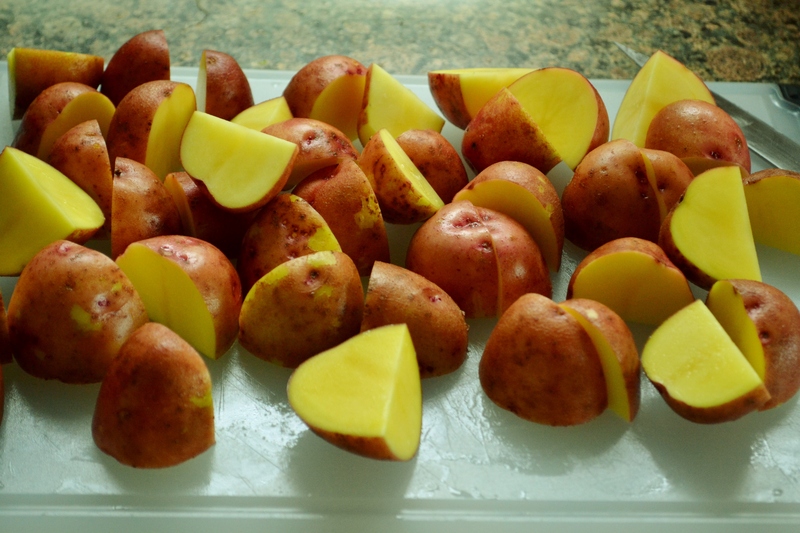 This entry was posted in Side Dishes and tagged appleton farm csa, farm fresh potato salad, mustard based potato salad, Potato salad on July 29, 2013 by Megan. Wow. What a wonderful potato salad. A simple but lovely combination of flavors. It will be a staple in my household. Thanks so much! Thanks Christine. I’m glad you liked it!